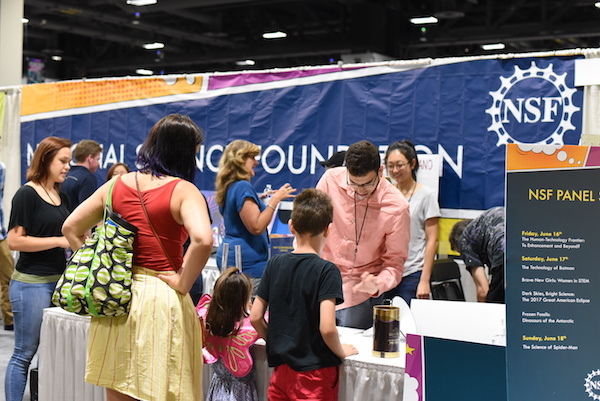 Father's Day weekend saw the return of Awesome Con to the Walter E. Washington Convention center in D.C. Now in it's fifth year, the convention has grown much faster than the organizers anticipated. 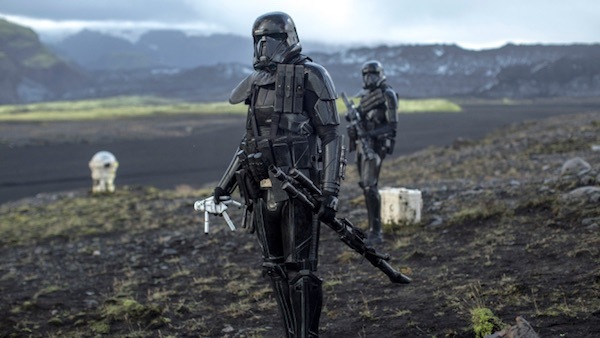 Fortunately this year, they seemed to have a better handle on the selling of tickets, particularly the coveted VIP tickets that provided priority access to panels and events. 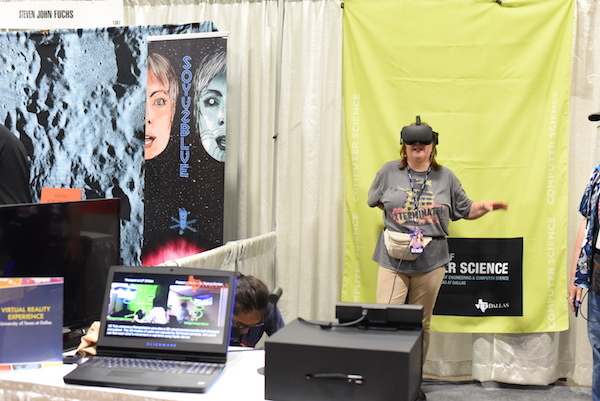 A new addition this year was the Awesome Con Jr. section, dedicated to providing a family friendly environment with enjoyable and educational opportunities for the younger convention participants. It was exciting to see the joy in the children's faces as they approached the Nickelodeon section, who brought in a life sized replica of Toothless from the How To Train Your Dragon series for children to mount and take photos with. It was also enjoyable to watch the children and their families participate in the drawing competition that was co-hosted by Art Way Alliance and Venus Comics. 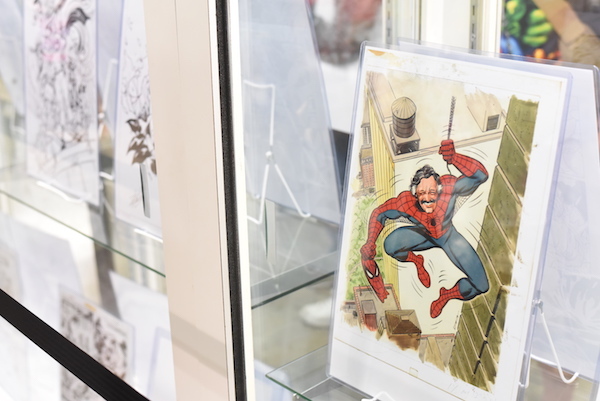 The Exhibit floor continues to host artists, entrepreneurs, and other creatives who are able to engage with their fans in ways they may not have been able to in the past. 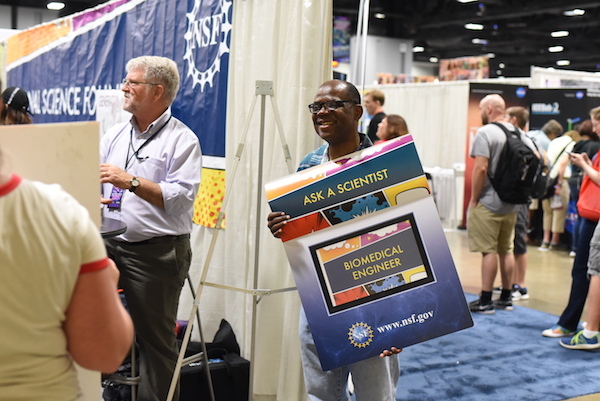 This year, the exhibit floor included an exhibit with interactive elements sponsored by the National Science Foundation. 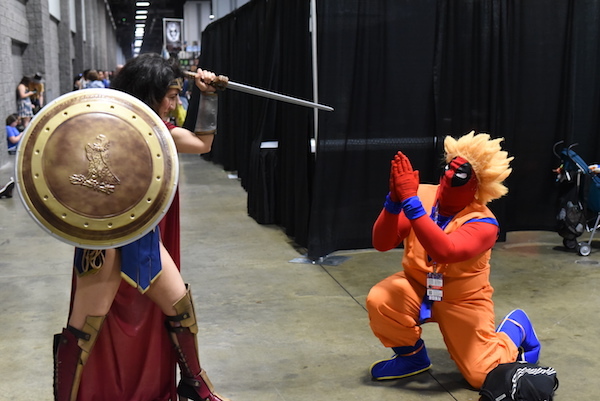 One of the treats of attending Awesome Con, in addition to interacting with your favorite celebrities, is the joy of seeing the creativity of the attendees who engage in cosplay. 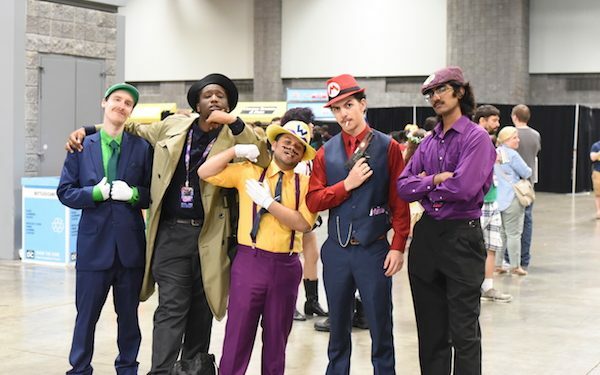 There were some truly entertaining and downright sharp cosplayers in attendance this year. The cosplay at Awesome Con often becomes a family affair-this year I ran across a couple with their infant who was dressed as the family from Saga, a Steam Punk Wonder Woman, a mother and son who came as Keenan and Kel from the Good Burger movie, and an adorable Baby Groot. 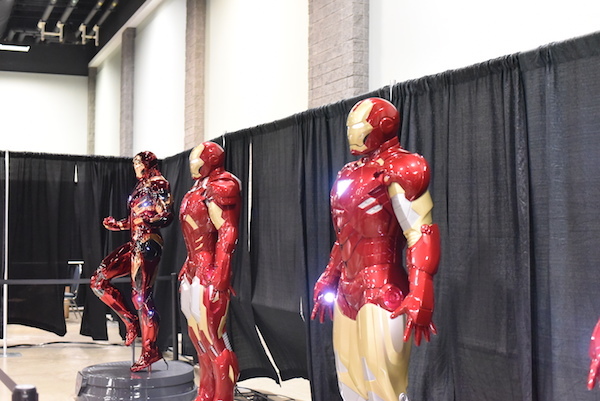 This year also saw a curated Stan Lee Museum exhibit, which included signed drawings, movie props, memorabilia, and life sized replicas of all the Iron Man armors, as well as Captain America, The Winter Solider, and Black Panther. This event was enjoyable, but some of the issues that came up this year raises the question of how the logistics are mapped out. 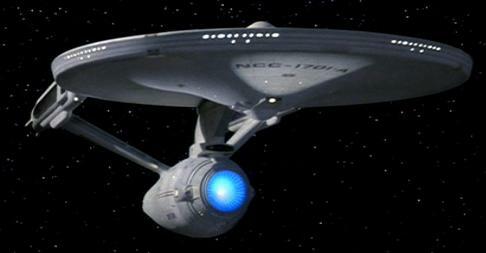 There were long wait times (upwards of 2 hours) to enter the convention center for regular attendees. Given the humidity and heat of the weekend, particularly Sunday, it made for a challenging situation for attendees. The exhibitor floor was pretty crowded, in part because of the increase in attendance, but also in part because of the layout. 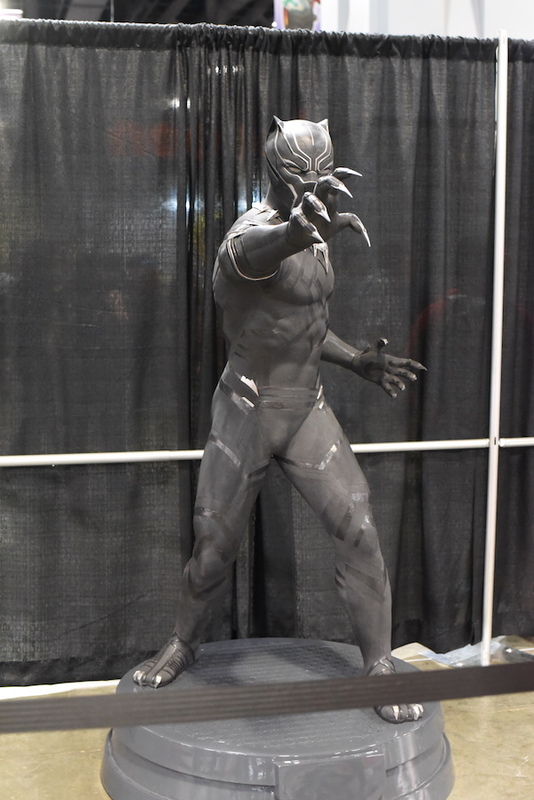 The exhibit floor had narrow walkways, and shared space with the line to purchase photo ops as well as the photo ops for the talent themselves. It may be time for the convention organizers to figure out a layout that uses more of the convention center, separating the photo ops and autograph lines in a different part of the convention center from the exhibit floor. At the very least, the layout should allow for individuals waiting in line to wait inside out of the heat. Another challenge they may face that may impact attendance is the move from June to Easter weekend in 2018. While many don't mind using the convention as a day out for Father's Day, Easter weekend may impact their attendance. 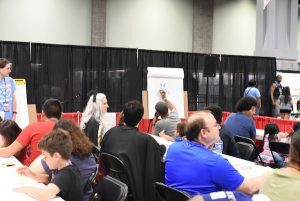 Awesome Con, despite some of the challenges it faces in being such a young convention that has grown exponentially continues to be an enjoyable experience for those who are able to attend, particularly those who enjoy being introduced to new artists, meeting some of their favorite artists, and taking in the sights. If you are lucky like we were, you might even get a slice of pie and a hug from one of your favorite stars from The Walking Dead free of charge!